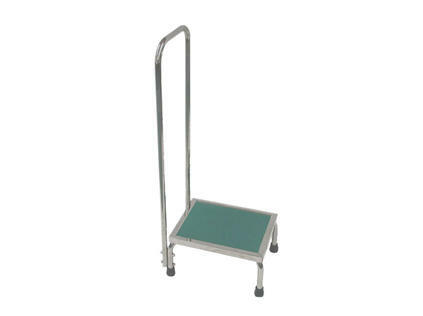 This rugged, stainless steel, non-magnetic step stool offers maximum stability and patient support with its oversized platform and 34" high handle rail. The deep platform has a non-slip mat for added safety. Grip cups on the bottom of each leg hold the stool firmly in place. The stool is ideal as a step-up/down support for patient access or egress from beds, stretchers and tables. Before physician and entrepreneur Dr. Arkadi Stolpner opened Russia's first private MRI center in St. Petersburg almost a decade ago, he said the waiting times for a scan were sometimes as long as a month. Now, patients usually only have to wait two to three days.